Written by Dave Gibbons (superstar artist of The Watchmen, Marha Washington) tells the story of genetically enhanced super-soldier Friday. Artist Will Simpson provides the fully painted art. Written by Dave Gibbons (superstar artist of The Watchmen, Marha Washington) writes the story of genetically enhanced super-soldier Friday. Artist Will Simpson provides the fully painted art. They are the best of the best. Alpha Company, first genetic infantry, have been created for war. Able to survive in the harshest environments, Friday and his brothers know how to obey orders. Fight hard. Die well. But as the sole survivor of a brutal massacre, Friday starts to question those who have made him this way, making an uncontrollable war machine the most dangerous creature in the galaxy! 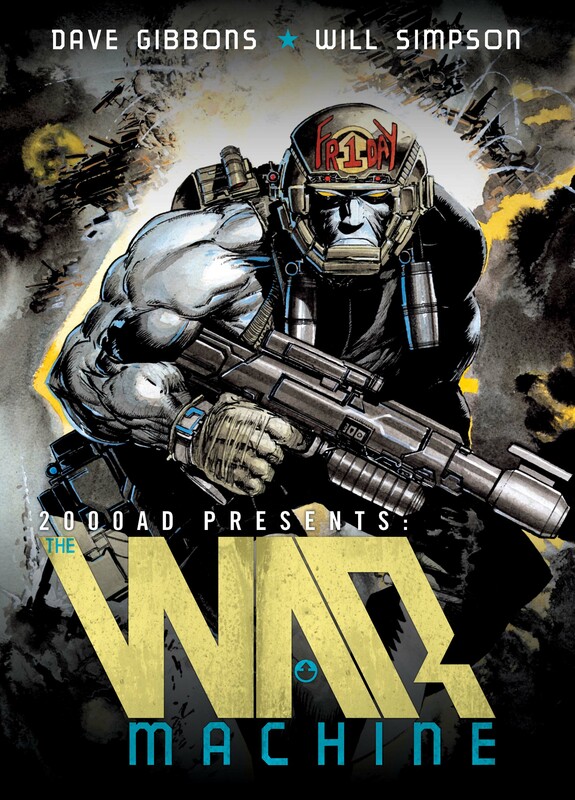 This is a work of passion from Gibbons, who retold the story of the character that first made him famous in comics, Rogue Trooper, in the way he had always wanted the story to be told.